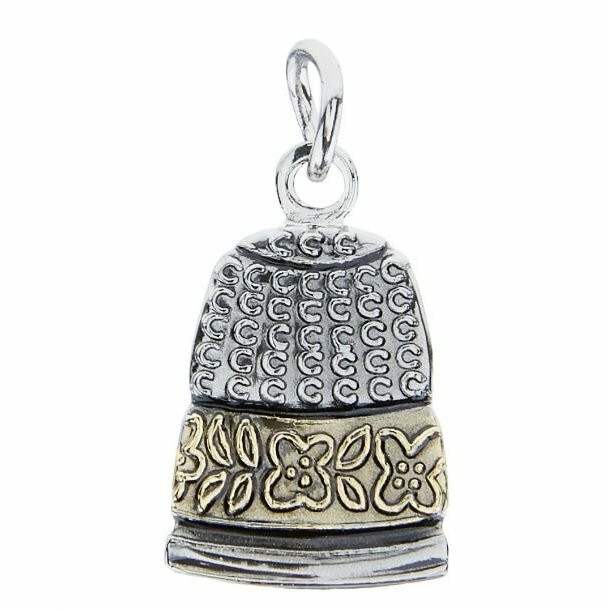 Thimble Charm is 1/2" made of gold and silver metal. Jump Ring included. Great for bracelets, necklaces or earrings.